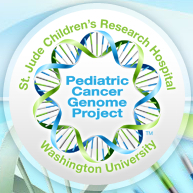 St. Jude’s Children’s Research Hospital and Washington University have joined forces to study some of the most deadly and devastating cancers: the Pediatric Cancer Genome Project. Over the next three years, we will sequence the tumor genomes of 600 pediatric cancer cases to characterize the inherited and acquired genetic changes that underlie cancer in children. It is an ambitious and expensive effort. Even with the plummeting costs of DNA sequencing, the estimated project cost ($65 million) works out to around $100,000 per patient. Unlike our first two published cancer genomes (AML1 and AML2), this project must examine germline (inherited) changes as well as somatic (acquired) ones, since we expect that many childhood cancers have a large heritable component. We already have a robust pipeline for identifying somatic mutations, but we’ll need to develop new algorithms for analyzing millions of inherited genetic variants to identify which ones are important. Technology will be a critical factor as well. My guess is that Illumina will be our primary discovery platform. Pac Bio and other single-molecule sequencers, while promising, won’t reach the capacity we need in time. I expect that whole genome sequencing will be the main strategy, but exome capture approaches (those that target the coding regions of known genes) are promising too. The large sample size is an important consideration. Deep sequencing of pooled samples, and multiplexed/barcoded sequencing runs will present new challenges for VarScan and other in-house tools. For validation, we might be looking at custom arrays or oligo sets in addition to 3730 and 454 sequencing. I really don’t see a downside to the collaboration. St. Jude’s not only brings their considerable expertise and valuable samples to the table to this fight, but also their good name. It’s a boon for Washington University in St. Louis (see the article in today’s St. Louis Business Journal). It’s obviously a boon for our genome center and an incredible opportunity to tackle some rare and uncharacterized cancers. Most importantly, it’s a boon for children with pediatric cancer and the parents that suffer it with them. Since you are looking at inherited variation, will you be sequencing (perhaps in a targeted way) unaffected parents, siblings or other relatives? Also, in some cases will you be looking at multiple disease samples — i.e. treatment naive and post-relapse samples from the same patient?